When it comes to light and photography, its helpful to understand some of the basic physics behind light and lenses. The word “photography” was created from the Greek roots (phōtos, phōs, and graphé) which together means “drawing with light”. It is important to remember that light is the primary working tool of any photographer. Light is the visible portion of the electromagnetic spectrum that starts from red (the weakest of rays), to violet (the strongest of rays). Light rays from the sun are considered white because they contain all the colors of the spectrum. Black is simply the absence of any color. 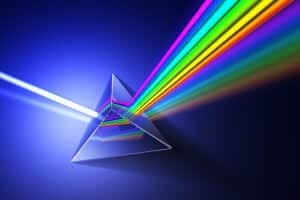 When we place a prism in front of a white light ray, the prism will diffract (or separate) the ray into all the colors of the spectrum. Stop for a minute and watch this animation. When we place a LENS in front of any ray, that lens will simply refract (bend) that ray. A camera lens is ground or molded transparent material (glass or plastic) that refracts light rays to form an image. 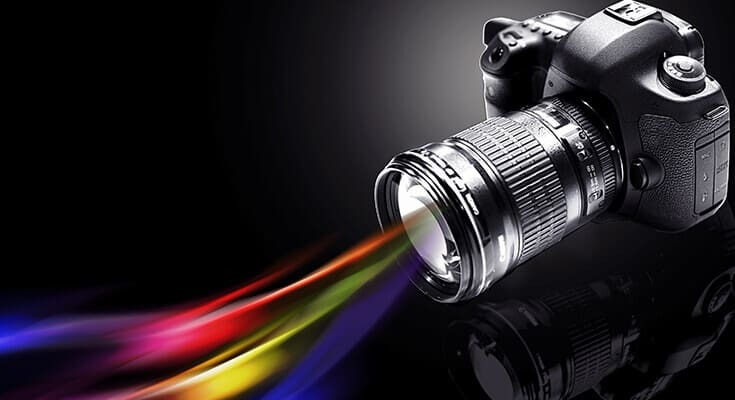 A lens focuses light onto the sensor of a digital camera to create an image. 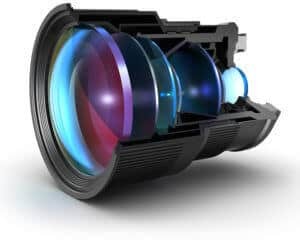 It is also known as an optical or photographic lens. As a light ray enters the lens, it is refracted and exits the lens refracted in the same manner. Because of the geometric shape of the lens, light rays are refracted so they form images. So when we place a LENS in front of any light ray, the lens will simply refract or bend that ray. Being in focus simply involves moving the lens elements forward or backward until all the rays coming toward the camera from the subject meet at one point; the camera sensor. In the illustration above, you will see a point where the rays meet. That point is also called the film plane. At that point, all light rays of the subject must meet to accomplish sharp, focused pictures. Photographers are constantly talking about the quality of light (both good and bad). Light can be hard or soft, direct or indirect, natural or flash, and come form different angles. As you start to learn the Art of Photography, you will undoubtedly hear photographers refer to using “good light” in their photos. So what is good light? There is no one good answer because it’s subjective. Good Light is just the right amount, quality, color, and angle of light a photographer needs to produce a desired image. For a landscape photographers shooting in the early evening, it’s all about timing for the best light. The Golden Hour is the hour between sunset and nighttime when the light is diffused, soft, and colors can be vivid. This is in comparison to daylight which is harsh, leaving subjects looking flat and unflattering. If you’re interested in learning more about light in photography, take the Photographer’s Guide to Light course from envantotuts+. You’ll learn that your eyes combine colors differently than colors are combined when painting. Topics covered in this course include; What Is Light, The Part You Can See, Brightness, Color, Contrast, Light Transfer, Absorption and Reflection, Transmission, Types of Reflection, Diffuse Reflection, Direct Reflection, and Polarized Reflections. Previous articlePhotography? Cure for a Coma? It’s a very good course,I will go on . Fascinating; due to the digital world of today, most people would not start to know how a camera, camcorder or anything really works! Good one to begin with. I decided to go to basic because I jumped into photography with no basic! My 1st impression here is …. all right, what next! Glad you like the photography lesson on light and the photographer. Near the top of each page are links to the next photography lessons in the course. These links allow you to navigate through the lessons one at a time. Also towards the bottom of the pages in the “Beginner Photography Course” are links to the next lesson in the series. Starting from Light with simple words attracts me. I will carry on.. This is absolutely the kind of thing that I wanted to start of with. Great lesson for me as an ammature fotografer. Very simplistic and understandable. Love the illustrations gives a good visual to help understand more. I want to continue to learn more! Thanks for the information. I want to continue to learn more! Thanks . Straightforward and easy to understand. I will continue with this course. Just got my first serious camera; I need this education. Thanks. I have also recieved a serious camera and found this little piece pretty informative. It’s nice to know that photographers are looking out for beginners like me. This is one of a kind thanks to the authors and contibutors. Miles of Thanks to all those who are putting in their efforts to make us understand photography better. James, thanks for your comment. The image is overly simplified to illustrate the light coming through the lens, and coming into focus on the film pane or digital sensor. Thanks for your excellent website I am still working through it and want to start from the very basics and work through the entire lot so I don’t miss out on anything. I just bought a Canon Rebel Xsi. I have been in love ever since but find myself getting easily frustrated at how difficult it is sometimes but this website has been awesome at helping me understand easier. Just a quick question, do you have any tips on taking pictures indoors? I’ve been practicing with my daughter as my model and since it’s winter and pretty cold I dont get a chance to test it outdoors and no matter what I do in M mode it is always soo dark. Even when my ISO is at 1600 which I don’t really want but I don’t know what else to do??? I also thought it was a good idea to try and stay away from using the flash?? Any hints would be greaty appriciated!! Thanks in advanced!! For beautiful images you’re correct you do not want to be using an ISO higher than 400 if possible. The best cheap lighting that there is indoors are windows. They can actually create beautiful light. Often times during the winter it can seem dark and dreary, but the reality is that even on overcast days the light from the sun can be much more intense than the light bulbs indoors. If you are really serious about portrait photography you may look into lighting from your local photography store. If you happen to have a ton of lamps lying around set up a few a different angles and try shooting that way. I would agree that a flash can be quite dangerous but we have a lesson on Flash Photography that is helpful as far as when to use or not use a flash. Also, look at some images that you like and think of how they might have positioned the lighting then try to recreate it. Good Luck creating beautiful images! Looking to expand my knowledge and this lesson helped! This is a great website so far! I love it! And it’s a great help for me while I’m taking my photography course in school. Yay! I cannot thank you enough for taking the time to share your expertise. I have been trying to find ways to learn more about photography in the hopes of one day starting my own business. Your generosity will never be forgotten! Can’t wait to learn more!!! Im upset I wasnt reading this years ago. Id be light levels ahead of where Im at now. Ive learned completely by trial and error with zero instruction. Needless to say am still learning and the process has been extremely frustrating. Thank you. The blue end of the light spectrum is high energy with a short wave length. Red is low energy light with a long wave length. Sunsets are red because the dust in the atmosphere scatters the long wave lengths and blocks the shorter. Blue images appear light in a Black and White photograph because the high energy blue light burns deeper into the negative. This is also illustrated by color temperature. Blue has a high Kelvin temperature while that of red is much lower. This looks very easy to understand, and its FREE! I’ve always loved photography and wanted to learn it so I can have it as a hobby. Photography has been my hobby for a very long time but have not been able to learn the intricacies and mechanics involved. I am happy you are giving people like me the opportunity to learn something valuable as this. I can’t wait to continue. Thank you. This information is very helpful, as it helps me resolve the issue for the lighting. so where is the lesson 2? Each of the lessons in the beginner classes has a link at the bottom pointing the next lesson. Here’s the one for Lesson 2. Hello! thank you for this important info. This what I was looking for, and I feel so enthusiastic. Thanks for taking your time to do this for all of us. I appreciate your time and efforts. I enjoyed this. Thanks for this site. I have been wanting to learn photography, but had no clue where to start. I found your site while looking for online photography schools, and LOVE it here. I know I will learn, and it will not cost me an arm and leg to get the information I want to gain. Again thanks for this site and the passion to help other with what they love as well. This is absolutely fantastic, and I am still in complete awe that you guys are doing this for free. I have had the passion for photography since 9th grade when they cancelled all the photography classes. I am now in my mid 30’s and wanted to take them through a community college and cannot seem to fit them in my schedule with the times they have. My husband had bought me a nice camera and lots of books to learn with, but this site seems so easy to understand. Thanks a ton again. My only question is this. What is a better way to explain what the “film plane” is? I am just not grasping the meaning of film plane in your words or pictures. Audrey, The film plane is simply the area of film that the light will be focused onto for a photograph. In digital cameras the film plane has been replaced with digital sensor. Thank you for an excellent site. Possibly i do not fully understand the light coming in? I accept that different colours have different wave lengths. The thing that puzzles me is how you tell that your lens / cmera is in focus Bright sunny days are one thing but in less than ideal circumstances i am not always certain if i am in focus resulting in juggliong back and forth. sure you can see on the lcd but sometimes when i download the photos i can se that they were not in focus as i thought. It sounds like your problem Brian is not the focusing but the low light camera shake. Your hands are shaking quicker than the shutter can open and close. You need a Camera Tripod. If you don’t have a tripod you can find more create ways to support your camera. It may also help to learn a bit about exposure control. i have a tripod. did not realise how important it is. I will certainly take your advice. Thank you. I just discovered this site, I am looking forward to continuing this course. My local junior college has little to offer as far as photography. This is very interesting. I am often the family photographer during the Christmas Holidays. I may turn my hobby into a career after taking this course. Thanks looking forward to more. I love this so far. i am new to photography and i find this very useful. thanks ! Hi there, just came across this site and am so thrilled. I have been told that I have a good eye for photography and it has been a passion of mine since I can remember. I have always kinda seen the world in pictures, if that makes any sense. I just don’t have the technical skills and I know that will boost my photos alot, as well as my confidence. I look forward to learning as much as possible from this course and thank you in advance for helping me to become a better photographer. Is there anywhere that you can get your photos critiqued online that you can recommend? Thanks so much for this course! If you Google “online photo critiques” there are are a few good communities. my photography instinct is tremendously stimulated by this site…Im a Newbie with DSLR and I will be a regular of this site.Thanks and Carry on guys! I was so sad today to find out that my dream to be a photographer will cost around $75,000, which I do not have. I laid my 2 boys down for bed and came across this website and after reading the info I cried. I was disappointed today because after searching and realizing that the colleges I was interested in didn’t care about me they cared about my money. I am happy to see a site that actually will help others. You are taking your time out to help me and some many. God bless you. Thank you so much!!!! Great Job! I have been taking photos off and on for several years really never taking the time to understand what I was doing. So far everything has been easy. Just read the first paragraph and noticed a mistake. Violent is the strongest or most energetic of the visible light spectrum and red is the weakest or least energetic. Thanks for clarifying the physics Jason, we’ve double checked the data and corrected the article. Thanks for the latest update on this Article. Thanks Jason for correcting. This is an eye opener.Thanx for the great work. I started photography as a village boy at atender age am glad that ur article has contributed to my professionalisation in photography. Great site! Just starting out with a Kodak Z950. distance to the point of focus on the subject you were shooting and couldn’t figure out how it could be in mm. In your picture I assumed the stick figure was the person taking the picture instead of the subject. Oops. Maybe it would be clearer to embed the lens and plane portion of the drawing in a simple outline of a camera? “photographer” to the right of the focal plane. From my point of View – you have created lots of photographers by providing this course … Thanks mate for your contribution to photography world . I owe you…. New camera. Easy! Just get on with it! Not so. There is always something in the photo that could be much better – so thank you for your lessons and no more short cuts for me! I’ve just recently purchased a Sony DSLR a300. I was searching the web for a photo course that would give me some simple and quick tips on producing good quality photographs. I am thrilled that I ran into your site. Simple, clear, and concise, without all the fluff that a lot of other places that I have tried to learn photography at. Thank you for providing this information. I will be going on. OMG! Your classes are awesome. I thank God for blessing you with this opportunity to help others with your gift in photography. I want to thank you so much. All of this information is wonderful. I will keep studying and practicing. Thank you. May God continue to bless you and your family. Sorry if someone already pointed this out above, I didn’t take time to read all the comments. Maybe I’m a lame engineering student, but it was hard for me to read past this statement and focus on the article. Thanks for the site, continuing to explore. Great site, great info. I am a beginner at this, but love what you have here! being retired, but working in the Graphic Arts arena for 30 years, I am very familiar with light and its properties. This is very helpful as a starter photographer.Thank you. Good camera’s can be found under the best selling DSLR’s or Best Selling point and shoot cameras. This should help with your comparison. really nice, this defraction n refraction got me back to school. This is very helpful as a new photographer.Iâ€™m very appreciative that you can give me these lessons.I was disappointed today because after searching and realizing that the colleges I was interested in some different course but they didnâ€™t care about me they cared about my money. I am happy to see a site that actually will help others. You are taking your time out to help me and some many. for this reason I done this coment again. sorry about that .God bless you. this is my wish . Thank you so much. Im very happy to find this site. i have been taking pictures for at least 3-4 years with my nikon D80, i took a couple of requirement classes for my BA Bachelor on basic Photography, since i finished last year on December im trying to find a school or an institute that can teach me the basic of Photography, but all i find is schools that offer a masters degrees or an advance level classes for commercial and graphics design levels, no to tell you that there is a small fee of over $50.000 thousand US Dollars. I know that i will not need such an expense at this moment of my life, but i can and i will recomend this site to every one i can, is a very simple and direct explanation that makes the reader feel like a professional already!! Thank you!!! I’m really bad at this, how do I know which point the rays meet? Light! the basic lesson on photography but one of the most essential part of how to come up with a good photograph! I did learn about how light is refracted through the prism/lens at varying angles, all the way to the “film.” I found it useful information if you’re a photographer that uses film, but I’m a digital photographer and I’m unsure of how things may change when the photographic medium changes. I will keep going on, as a professional photographer would utilize both medium. Very easy to understand 1st lesson. I hope the digital lessons are as easy. yes i agree with the last entry, never thought about the colors bending… the demo of the prism was awesome! i have been wanting to take photography lessons forever, and now thanks to this site i can! Thank you! Fantastic site. Continue to enlighten us with your expertise in the field. A boon for people like myself who are not familiar with the nuances of the subject but love photography. hi, i just bought a canon rebel t2i…as a beginner, this is very helpful to me. my question is do i really need to get an extra 4 year warranty that cost me 200+cdn? Seems awfully steep for a warranty. Warranties are just about always just insurance to make things easier in the case that your camera happens to break. With camera repair centers being available, the fact that you probably will want a new camera in another 4 years, and you’ll probably have issues after 4 years and a day, I would pass. Any other opinions? I’d bet that maintenance and repairs on a camera over 4 years will be less than $200. I’m reading all I can read to get as much information as possible, I don’t even own a camera right now , but plan on getting one soon. This a great way to learn and get the information I need for when I’m ready to begin taking photo’s. I will have will a headstart. This very helpful. Hi, thanks for your interesting lessons,the concept of light… I can see myself progressing from a good better photographer. I have done lesson one how do I go to lesson 2? Once you have this down, you’re ready for photography lesson #2: Light and the Human Eye. I have been looking for something to teach me the finer points of photography, thank you!!!!!!! I’m looking forward to learning a lot from you guys. thanks for your generosity in offering this free online course. Awesome! I’ll be a pro in no time. Thanks guys. So my learning starts. It seems this will be time well spent. Very interesting. I think I can learn a lot from this site. Thank you! It is fabulous and brilliant. I don’t have basic understanding of photography. Just I was interested in taking some good photos and slowly started taking family photos. Though I have been into photography for many years, and have been paid to shoot weddings and other events – I also love to learn more about my favorite passion. This site is well thought out, easy to understand and I will be sharing it with my 18 year old son who once shot a friends’ wedding and came out with some great shots – but like me can always make room to learn more. So, put your money back in your pocket and sit back and enjoy the lessons – very worth your time to do so. Great start! I will go on, thanks! I love taking pictures of barns and landscape. I’m sure these lessons will help. I hope to take some amazing photos soon. Simple words make the learning so easy. Thanks! I will go on and also recomend this site to a few. As a retired police officer, I have taken many photography classes but never received the basics of light as you described here. I can only imagine how much better my crime scene photos would have been if I had! Thank you for your website. I looked at many sites to get a good firm handle on learning how to take great photos, but this is the best. Thank you again. very simple but very effective way of teaching with basic concepts of subject. Thanks a ton to d authors n makers of this website.. Cant wait to go through all d lessons.. Everythng so simply explained! Photography is my passionate hobby esp. wildlife photography.. But had never known d basics. Thank u so much. Do u provide special information to improve wildlife photography? The lesson starts of erroneously saying that prisms diffract light. They actually refract light. Grisms diffract light, not prisms. This is great, I am new to Photography and am developing this skill as part of my Silver Arts Award at school. The information is good although it took a couple of times reading it through to understand it fully. I love to take pictures. Just a hobby, but now that I’m retired would love to learn more. I am so crazy about some of the whimsical Artography out there, I guess that’s my desire in the end. We’re just talking hobby I think, but who knows? Ha! I have never had any lessons of any kind, am not looking for a degree or anything but would dearly love to get into this. This is very simple and well phrased. I am very interested to see if a lesson on reading a histogram will follow. I’ve had a camera since I can remember, but only recently became serious about photography when my husband came home with a DSLR camera. I’ve checked out blogs, looked up some very expensive classes that didn’t see to be geared toward someone who wanted basic, clear, practical lessons. I’m so excited about this free, easy to follow, accessible site. Thank you for providing such an invaluable service! Absolutely thrilled when I came across this site. Information is easy to understand and follow. Thank you! After searching the web for 2 days, I came to find this gem of a site tucked quietly away. I had started with film photography in high school, but soon left it for life. Now too many years later, the photography bug bite me and I am starting with a Nikon DSLR D3200. I am so glad to have found this site that introduces people into the basics of photography without overwhelming them. I am sure that his site is going to be an excellent source of learning both now and in the future. Thank you for the great work! I have been looking and looking for the right teaching/training module and course for me to learn more and enhance my photography skills and knowledge. others offer help but they will make you go around circles… this one is more straight forward in teaching. thank you so much and God bless. A am looking at getting into digital photography for hobby. Am looking for someone that can teach/guide me in the right direction. I am interesting in taking classes, good teaching and training. Am planning to buy a aim and shoot camera. I was told that the best one available was the LUMIX FZ200. Please confirm if this is good. I intend to do travel photography along with travel writing and am very sure after lesson 1 (which was extremely well explained)that I will benefit a great deal by going through all your lesons. Thanks very much and hope to hear from you about the Lumix FZ200 Camera. I have been interested in photography as hobby for some time now. This online course will teach me sooo much and possibly put ahead of the game if I still feel as though I need an additional course. So far, so good! Besides…You can’t beat FREE anywhere, let alone expert teaching, WOW! I can’t thank you enough for sharing your expertise, and free of charge at that. This will certainly help someone like me determine if this is something I’d want to turn into a career. Thanks Again! Lesson #1 was very interesting to say the least. I’m still wrapping my mind around the electro-magnetic spectrum. As a former film (35mm] hobbyist I’m looking forward to diving into DSLR work. I never took a formal lesson but managed to produce a number of more than acceptable works. I used Minolta equipment; 3 bodies, half dozen lenses, flashes etc. Had a darkroom ; Durst enlarger, Cibachrome color. Now it’s been years since switching to point and shoot stuff and I want to get back to SLR photography. I’ve forgotten most of what I knew second hand and think this course can bring me back up to speed. I just got a new camera and I am hoping to learn how to use it to its potential. Is this for digital or film photography only? It’s for both digital and film photography. Thank you very much for posting this course. It is very easy to follow, and I am a very beginner. I like the way you start with the very basics. Um, nice explaination except I’m really pretty sure that between blue and violet waves, there are indigo. You know, ROY G. BIV. Is indigo just not important in this explaination. Do camera’s not read indigo? I don’t know much about cameras, but I do know light. Nice course. I’m happy to see how simply this course is broken down. I’m hoping it will help me to quickly learn to use my camera. Thank you! Great course. I read some of the tips and applied them to a photo I staged at a bar with a broken wine glass and a hand written Dear John letter. I posted it to facebook and the response was immediate and amazing. Nice photography information! Really helpful and amazing! One question though, I don’t have the type of camera you have. What should I do because those cost extremely a lot. I am enrolled in a photography class. I could not understand a single word they are saying, but I still attend. I thank God I found your website. Your teaching instructions are very clear. Your illustrations makes everything understandable. What my teachers are saying make sense now. Thank you again. Very useful lesson for a beginner like me. Explained very well and now I understand about the connection of the light and the focus point. Sometimes I have a lot of out of focus fotos. Thank you very much to share this knowledge to us. The information is awesome. The concepts dealt in lesson 1 clears lot of doubts that we had till date. Thank you from the bottom of my heart. It is said – “meet at one point ” – the focal point – is it exactly 1 point – which is very close to aperture. or the focal point and film plane are one and the same. Kindly clarify. Thanks Vibha! 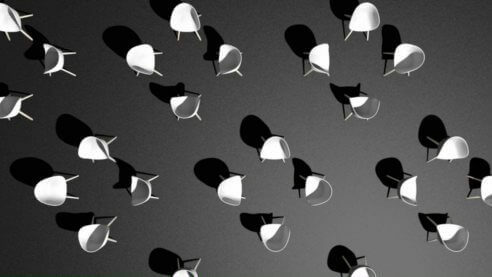 The vocal point is the part of the film plane where the image is in focus. From the article: “So, being in focus simply means moving the lens elements forward or backward until all the rays coming toward the camera from the subject meet at one point; the focal point on the film.” So the focal point is on the film plane. Thanks…i love this website. I love this course..it teaches every thing i need to know about photography and its related sciences and techniques…..i find it very useful. I love this website. It is always good to go back to the basics no matter what. I am a professional photographer of landscapes. I live in Southern California and while on assignment, I was approached by a woman, who turned out to be a well known celebrity. She asked me to take some shots of her and her child on the beach. I did and was really surprised as to the difficulty I had in setting up for the shot. I never had the formal training for this kind of photography. I stumbled across this site and read the lighting chapter and saw it was as easy as the nose on my face. The shot came out so well, I now am on call for my new friend and about twenty of her friends in her circle for doing family portraits and head shots. I want to learn photography… but i could not get any help from anywhere… thanks to this site .. now i m very much excited to know more.. I have been interested in photography all my life however I never though I could do it are even afford it but now thanks to this sight I thank I might actually be able to. I might actually be able to make a profession out of what I love that I has always just been a hobby and I thought would always be. You are awesome. Thank you so much for your courses. I got a Canon 1d MkiiN from a friend of mine and am jumping into this with both feet. Again, thank you for your course and for making it easy for me to understand. An awesome course. I took photography classes when I was in high school (a long time ago) and am now finding a renewed interest in the art. I knew I needed a “refresher” and am so glad I happened upon your course. Starting from the beginning again and looking forward to it. This is really amazing course ever seen!! I really enjoy to go beyond and I hope it will help me know more aabout photography…. VERY USEFUL FOR BEGINNER’S, I NEED LEARN MORE. Very good lessons to start with. Concepts are explained in simple English which can be understood by layman. Easy to grasp, concise and makes interesting learning. Came across this site today. I need to do my own photo shoot because I am a artist. Every where you need to pay. From a this side of the world money is tight and photos are expensive. Found myself a second hand camara Panasonic DMC-FZ7. Look like a nice camara for a beginner. Only problem the battery does not last to long. Took some photos but boy they are not to good. Now I am going to follow your course and lets see what will happen. Each topics were systematically arranged. And explained it very well. It is very easy to understand. Thank you for this helpful lessons. Thanks for the free course. Looking forward to learning how to take better photos. A very good information I really like it. Thank you. I’ve learned a lot of things here. These are insightful explanations on photography. As a beginner i will like to continue. Thanks. And i want an advice. As a beginner, is it advisable to get a camera now? Easy to understand and very helpful. Comment: You’ve captured my mind. I’ve gained a lot thank you. Moving to next stage.